Sounds like an awesome read! Would love to win a copy. While I mainly write children's books, historical fiction is an area that fascinates me greatly and I would love to know what are some of the best resources Karen has found regarding researching content for historical novels? Internet? Local library? Interviews with historical society representatives? I've heard of Charlotte Parkhurst. This sounds like a fascinating book. Real people are so much more interesting than fictional. This sounds like one of my summer reads! 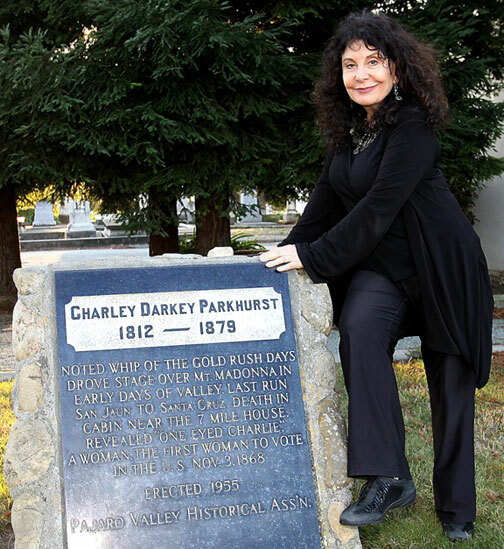 I remember the first time I read about Charley Parkhurst. I think it's great that you have taken the story and make it real. I look forward to reading it. Looks like a fantastic read. Can't wait! Historic fiction and women's rights - two things right up my Alley! I look forward to reading it. Is this what you're looking for? I'm a bit new to this stuff. Sounds so fascinating. Currently I'm working on an historical nonfiction book which I later want to turn a certain aspect of that story into an historical fiction. Loved the interview in the Wells Fargo Coach. Sounds like a facinating book!! How could a person look at the cover of this book and NOT want to read it? 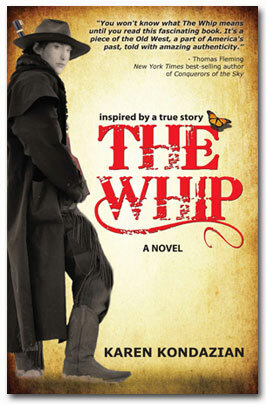 The twist to this western story makes for a good read! This book sounds terrific. I would love to win. Question for Karen Kondazian: When you turn fact into fiction, how do you determine what to include or how to change the story to turn it into a story the length of a novel? So looking forward to reading this one! I tweeted this at https://twitter.com/#!/happigurl24/status/195238031496712192. I like to read non-fiction! I wanna win this prize! Please contact us at blogtour@wow-womenonwriting.com with your mailing address and we will forward it to Karen for you. We will also follow up with an email. For everyone else: please check out the rest of the stops on Karen's tour for more giveaways and inspiration from Karen. Write on! Thanks again for the giveaway. 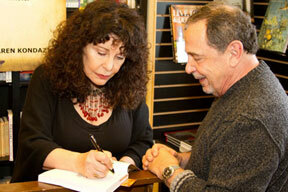 I enjoyed the book and have posted reviews on Amazon, Barnes & Noble and Goodreads.